One Drop YoYos - Effect your yoyo. 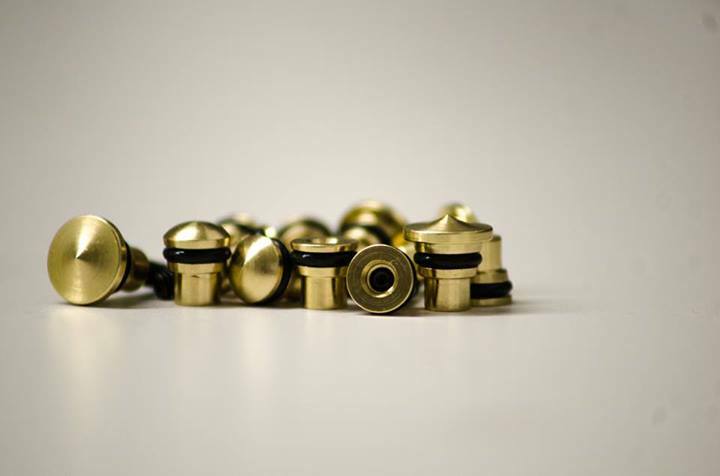 New versions of the popular One Drop "Side Effects" are now available here at YoYoExpert! 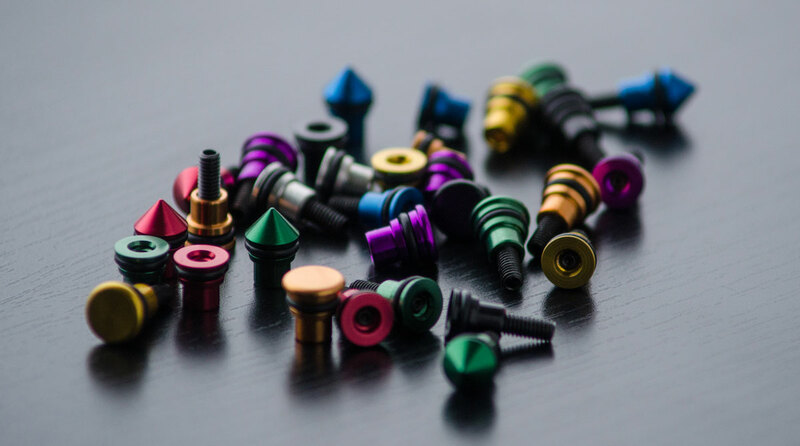 This unique and one of a kind axle system actually lets you adjust the inner weight and overall aesthetics of your One Drop yo-yo by switching out different versions! [ - ] Spike Side Effects - 3.2 grams. [ - ] Dome Side Effects - 3.0 grams. [ - ] Brass Dome Side Effects - 6.5 grams. [ - ] Ultra Light Side Effects - 2.5 Grams. [ - ] Code1 Side Effects - 4.0 grams. [ - ] Dietz Side Effects - 3.0 grams. [ - ] Mini Disc Side Effects - 4.7 grams. [ - ] Flat Cap Side Effects - 3.3 grams. [ - ] MarkMont Side Effects - 2.9 grams. [ - ] Brass MarkMont Side Effects - 6.3 grams.